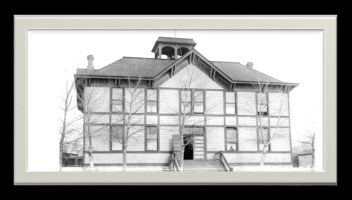 Green River's third public school was built in 1891. 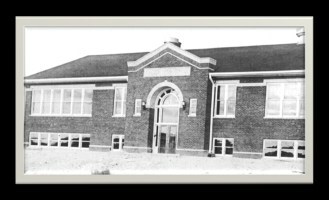 Grades one through nine were taught in the building, making it the first high-school level building. Between 1905 and 1912 more grades were added, with one student, Ruth Lenhart, graduating in 1912. In addition to reading, writing, arithmetic, and spelling, hygiene, geography, physiology, Latin, and bookkeeping were taught to older students. The building served as a school until 1926 and is now Mount Moriah Masonic Temple. As the number of high school students grew, the old building became inadequate. Lincoln High School was constructed at a cost of $95,000 by the Evers Brothers. Classes began there in September 1922. 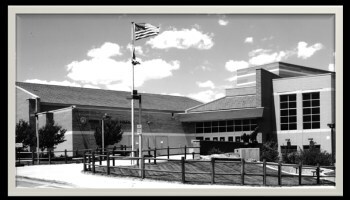 During the early morning of October 16, 1940, a fire destroyed this building leaving only the gymnasium standing. 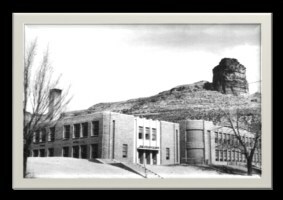 Classes began in the new Lincoln High School in September 1942. The gym from the old building had been rebuilt, and the new building cost $220,000. This building served as Green River's high school until September 1976. Renamed Lincoln Junior High School, it continued to be used as a junior high and middle school until 1999. The new Green River High School was built on Monroe Avenue during a period of rapid growth in the community that had caused insufficient space at the old Lincoln High School. Classes in the new G.R.H.S. began in September 1976. Even with a later addition, this building became so overcrowded by the mid 1990's that classes were being taught in shifts. Remodeled, it now serves as Lincoln Middle School for grades seven and eight. 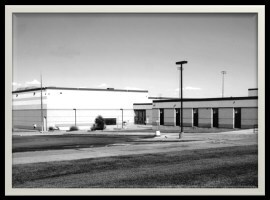 The last high school to be built in Wyoming using entirely local tax revenues, the current Green River High School, was first occupied in the middle of the 1997-1998 school year when staff and students moved from the previous high school. The new building includes many features not present before including a practice gym, a full theatre, and wiring that can be easily updated for new technology.